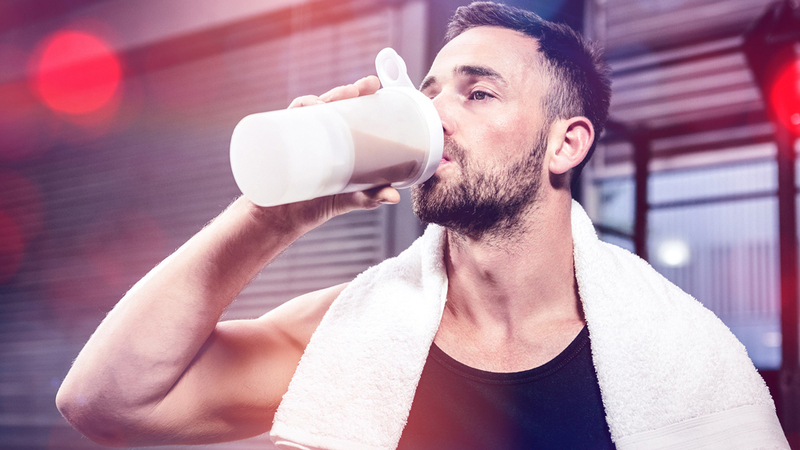 Although not essential, something everyone seems to be taking is a Protein Powder. If it doesn’t cause stomach problems go for Whey, otherwise a Vegan protein like Pea or Brown Rice is just as effective. One scoop is 30 grams, and that should have 24 grams of protein. 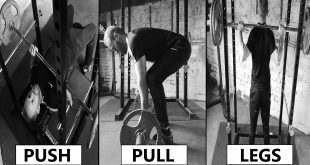 This is the easiest to have after a workout as there is minimal preparation involved. Next up are your meats. Another common food is Chicken, and where possible try to buy organic. 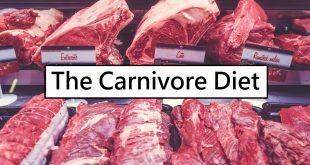 You absolutely get what you pay for with meat so it’s not an item you want to save money on. Turkey is very similar, and you can get breast or diced meat in the supermarket. On top of that you have Beef and Lamb, these should be grass fed. Lamb is quite fatty, and in general most people stick to chicken and turkey for the bulk of their protein. Then you have your fish. Your white fish like Cod and Haddock is mostly protein, while your fatty fish delivers… you guessed it, fat as well. These are “good” fats, however with the risk of mercury poisoning aim for 2-3 portions of Wild Salmon a week and 2 portions of other oily fish like Sardines or Mackerel. 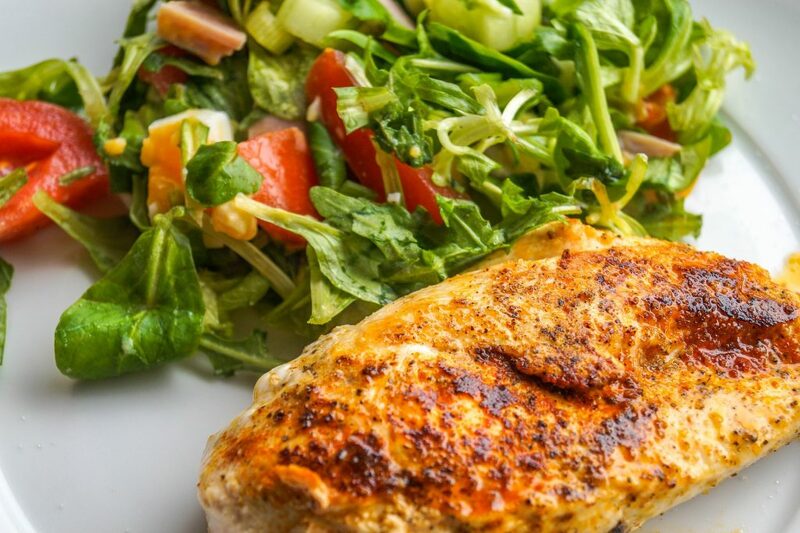 Finally you have your “Protein + Fat” combination foods. 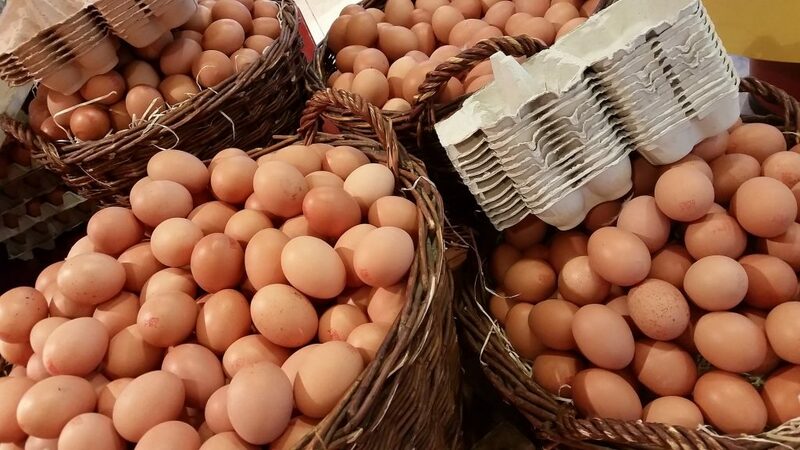 Eggs have a high dose of both, you’ll get 6 or 7 grams of protein and the same amount of fat in one large egg. Again, don’t go cheap, you want free range, organic, even omega-3 enriched if you can find them. Caged hens get super-stressed and churn out really poor quality eggs that aren’t going to do you any favours, so free range only. Then you have dairy. There’s a big debate about the unnatural hormones in supermarket milk, and if you ask Schwarzenegger if he drinks milk he’ll say “No milk! Milk is for babies”. In the book 150 Healthiest Foods On Earth, Jonny Bowden says Raw Milk is best. Raw milk has to be obtained directly from a farm and heated at home to make it safe to drink. Then you have Greek yoghurt, with brands like Fage and Chobani. Stay away from “Greek style” yoghurt. Food manufacturers can call ANY yoghurt “Greek style”, the term is meaningless. Greek yoghurt is high protein, Greek style is their attempt to piggy back off a health product but if you read the label it’s minimal protein and pumped full of sugar. 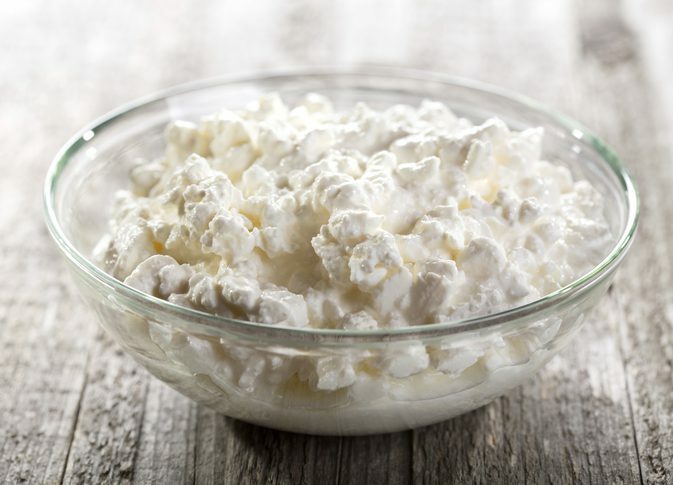 Last of the dairy is Cottage Cheese, this is popular before bed as it contains Casein which is a slow release protein to limit muscle catabolism overnight. 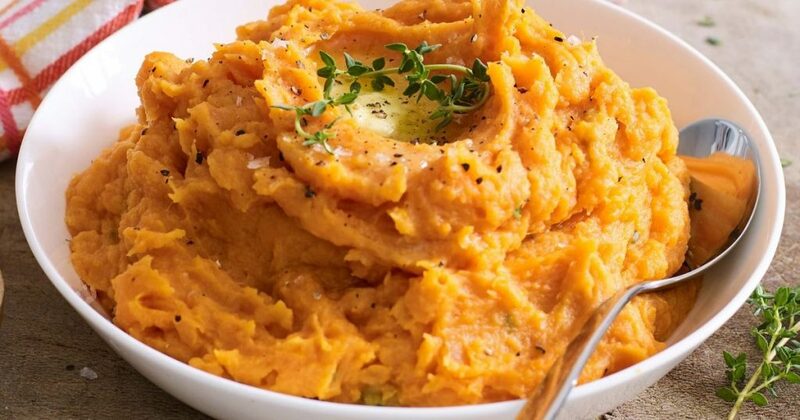 Three sources you’ll find most of the fitness models eating are: Oatmeal, Brown Rice, and Sweet Potatoes. You can also get gluten-free oats from health food shops if you need it. Beyond those staples are Buckwheat and Quinoa, popular with vegetarians as they have a good amino acid profile. Then depending on how strict you are you can include white rice, white potatoes, pasta and bread. Some guys stick to Ezekiel bread or flat breads, as the 800 gram loaf in the supermarket is high in salt and shouldn’t be too big a part of your diet. 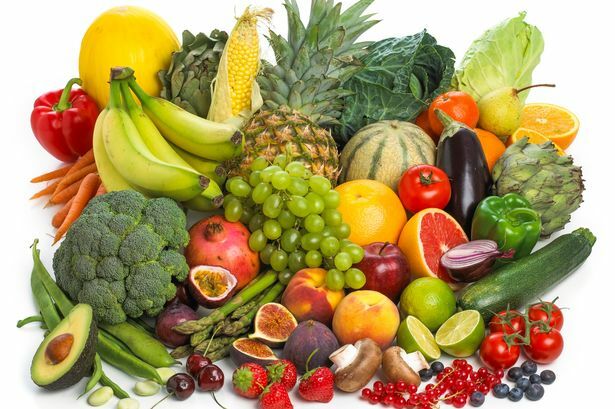 Then we have the fruits, again depending on how strict you want to be with fructose intake some dieters stick to 1-2 pieces a day, or only have it after workouts. Popular choices are Bananas, Apples, Pineapple, Oranges, Grapefruit, as well as your super healthy berries (Blueberries, Raspberries and Strawberries). Finally we have VEGETABLES. These carry fibre and your MICRO nutrients i.e. Vitamins and minerals. Don’t be a child, eat all your vegetables! Having a six pack is not the same as being healthy, it’s important for longevity to eat several portions of vegetables a day. Popular choices include: Kale, Spinach, Mushrooms, Carrots, Tomatoes, Broccoli, Green Beans, Peppers, Onions and Courgettes. Two that I would highlight are broccoli and spinach, they are known to be bodybuilding staples. The most popular in this category are nuts and seeds. They’re pretty good for you, and you can add a handful to certain meals if you need a bit more fat for your macros. Options include: Walnuts, Almonds, Hazelnuts, Macadamia Nuts, as well as your nut butters like Peanut and Cashew Butter. 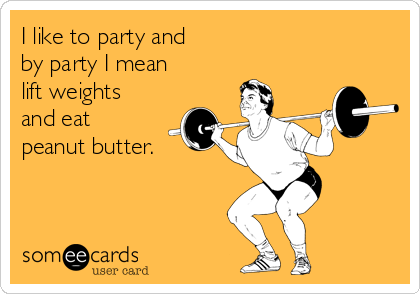 Peanut butter is big in the fitness community and we even have hundreds of memes dedicated to our addiction. Then you have your Oils. Coconut Oil is used for cooking because of something called the smoke point, and Olive Oil for drizzling on food. Another healthy option is Avocado, both as a high-fibre fruit and as an oil. We are missing two categories, one of which is drinks: If you don’t count raw milk, then most guys stick to Green Tea, Coffee and Water. There are no fruit juices, as these are just as sugary as soda. 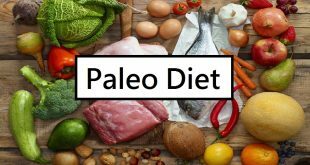 The last category is often overlooked, but contributes some important functions like regulating blood sugar, providing anti-oxidants and lowering cholesterol. That is the Herbs and Spices. 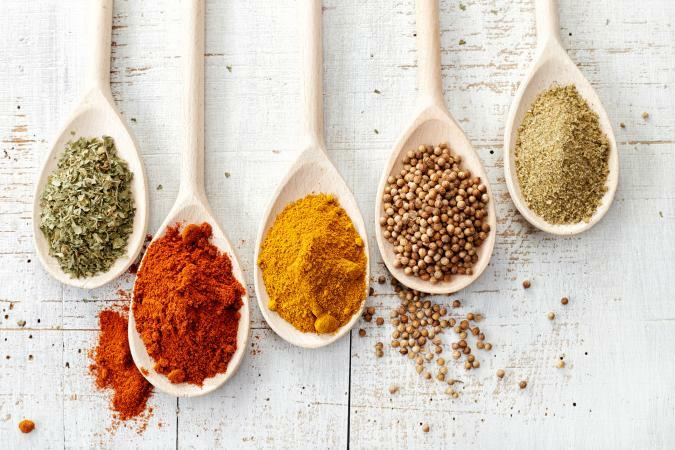 Best of the bunch are Cinnamon, Cumin, Garlic, Ginger, Parsley, Rosemary and Turmeric. You would be hard pushed to be unhealthy if you only ate foods I mentioned in this article. What i’m going to do in Lesson 9 is tidy this all up into a ONE WEEK DIET PLAN to see how to implement them in your meals.